.Call me Coffee or Coffers. 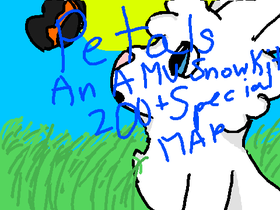 Petals|An AMV Snowkit MAP|200+ followers|Closed!! Amethyst's Story(NEED PJO OC'S PLZ). 170 + Raffle open!!!!! JOIN NOW!!!!!!!!!!!!!!!!!!!! !